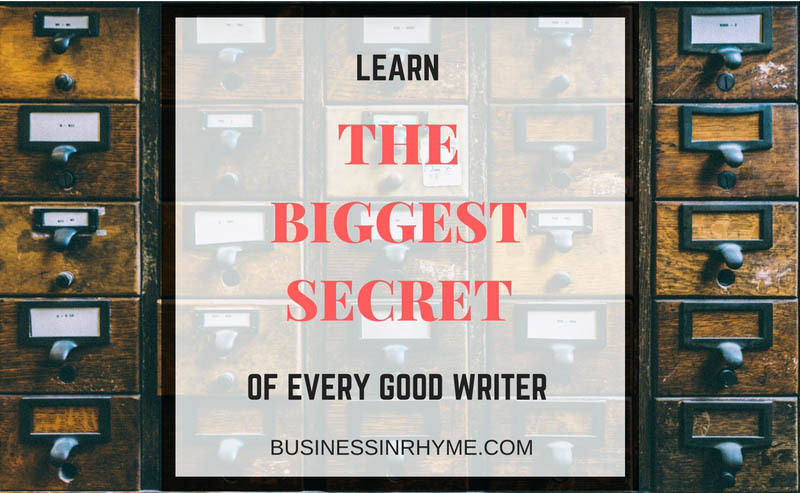 In that sense, I think that biggest secret every good writer knows and we often forget is how good writer treats his bad writing. First, he takes time to write, erase, rewrite, edit, tailor every word to what’s need to be written. And how does he know what’s need to be written? He is attuned to his inner-self and follows the voice that drives him to write. Once you master to recognize that voice, you will know if what you wrote is good or bad. The second essential part here is also his relationship to criticism. He is persistent, not afraid to try, to let his work be judged by the public eye. He knows how to tame his ego and accept constructive advice that can only help him become better and improve his writing. Good writer is not writing because there is nothing else to do or simply he likes recreationally to scribble. There is ingrained need in him that he has to tell something, his story needs to be written. It’s not a job. It’s not a work. It’s almost like breathing. Many writers do achieve certain level in their skill and they are determined that it’s all there is. They believe, by default anything they write is good and not subjected to alteration. In reality, what happens is that fear of failure is greater than desire to produce really good piece which requires additional effort and time. And frankly, often their writing is not even close to be good as they think. Being defensive about the quality of your work is not going to make you a good writer. You can make a decision to be different and take responsibility for your writing. Go and write that extra page that many aspiring writers are not prepared to. Put an extra hour and improve that paragraph that has been bugging you. Be brave and send your poem to that journal you’ve been reluctant to do for so many months. That’s how you become a better writer: with stillness to listen and eagerness to change. Are you ready? October 17, 2016 October 17, 2016 by Maja Todorovic, posted in Business in Rhyme, Read, write, lead!, Write, create, innovate! Do you remember your first time writing a poem? That feeling of possibility of written word acting like a bridge between your ordinary world and other limitless realities?…We can revive those moments each time we commit to writing or reading poetry, to have that freshness we are looking for in sometimes routine and monotones practice. 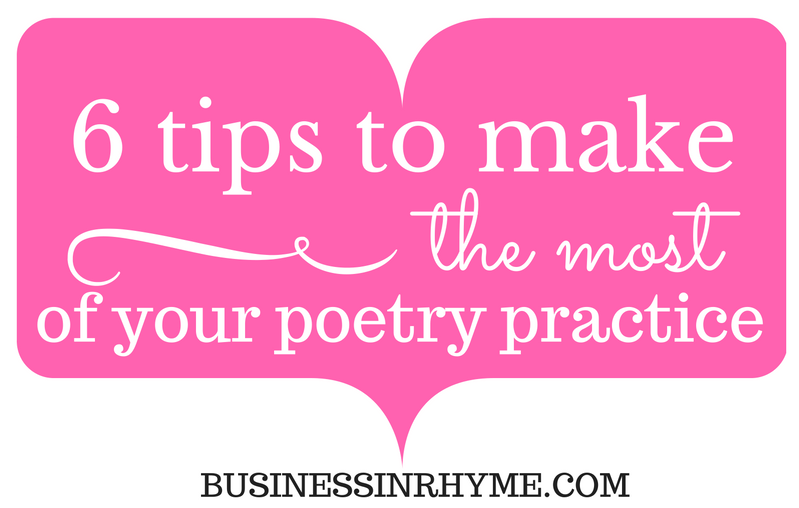 Here I will share few tips that I’ve found to work for me, each time I start to lose that feeling of connectedness and intimate conversation I need in order to make ‘poetry work for me’. This is one of the ways to shut down that judgmental part of mind and simply surrender yourself to words. Be open to whatever comes up – no matter how silly or unfocused it might sound. Instead of trying to control your thoughts, bring your intention to poem – let your poem take over and simply capture that true moment of your life. That kind of release can give you an emotional upheaval and leave you feel lighter and regenerated. You have your senses for a reason and use them to adequately express what ever you are experiencing in that moment. Your eyes, your mouth, your ears, your nose and your skin can tell the story – let them help you in your writing practice. The more details you put in describing that moment, the more authenticity your poem gets and portraits better experience to your reader. Poem takes a life on its own and reader becomes the part of your world. In this way you are practicing also your objectivity, focus and ability to stay mindful. Often we fall into trap of writing about emotion, describing feelings and sensations instead of letting out words to translate our immersion into emotion. To have that internal satisfaction with your writing you need to write while reliving that particular feeling. It will make presented experience believable for your reader. Writing good poem is not always about using better technique, fancy words and adjectives. Sometimes is quite the opposite. Turning off that analytical side of mind and simply diving deep into your subconsciousness is a creation of poem where you’ve just found that raw, unpolished diamond – valuable but one that needs right words to shine through. It is well known fact that writers must read in order to grow. But you can take some simple steps to make more of your reading time. One of the things I like to do is to rewrite in separate notebook poems I particularly like. Instead of having them in separate poetry collections or computer files in this way I can refer to them in one place whenever I like. Writing down poems by hand has another benefit for me as it allows me to more easily follow the rhythm of poem and simply feel it through my hand. It helps me also to remember phrases and words I would like to incorporate in my writing. As it is suggested in this article you can make lists of words you like, your own ‘poetry stacks’ that you can refer to as a resource for inspiration and writing prompts. I’ve been entertaining this idea for some time now and I think is worth a try. in different creative ways by listening to it, reciting it, buying it and most importantly by sharing your own work. Submit and publish whenever opportunity presents itself – it’s a sure way towards impact and contribution we want to make. And as plus you improve your writing skills! That can be through studying, journaling, mindfulness practice…you can use it for brainstorming creative solutions to problems or simply to create an intimate and sincere gift for your loved one. Possibilities are endless, but the more you engage in this practice the more world around you will start to match your new found perspectives – don’t miss that beauty.